In a Nutshell: A whole world of intricacies exists behind the scenes of a seemingly straightforward online purchase. 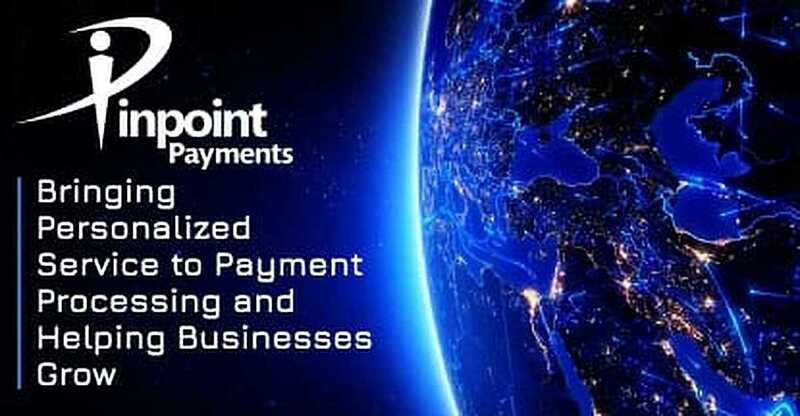 As a payment processor that operates in this hidden realm, Pinpoint Payments focuses its services on merchants that often fall into the high-risk category. But rather than simply being a processor for its customers, Pinpoint bills itself as a payment partner, bringing a level of attention to client accounts not available through larger processors. Pinpoint ultimately strives to help its business partners grow by maximizing their profits. When consumers purchase a product or service online, the transaction — from their perspective — is fairly simple. Input your card information, click the purchase button, and that’s it. What most people don’t consider is that behind the scenes, a whole other world exists of companies working to accept, approve, process, and deliver that payment, while guarding merchants against fraud, chargebacks, and other potential pitfalls. That’s the world that Pinpoint Payments inhabits. Founded in 2013, Pinpoint specializes in stopping fraud and reducing chargebacks associated with e-commerce, card-not-present and high-risk payment acceptance with best-in-class offerings, according to the Pinpoint website. It protects customers from millions of dollars in fraudulent charges and saves them money by contesting and winning chargeback cases. Earlier this year, following the launch of its Pinpoint Payments division, the company landed on Inc. 5000’s list of the nation’s fastest-growing small- and mid-sized private companies. “We’ve had some tremendous growth since we started — it was 664% in just the last three years,” said Benjamin Grossman, Pinpoint Co-Founder and CEO. He said Pinpoint has also sought out unique opportunities and unique partners during that time. Until about five years ago, Grossman said he used to work in the online marketing industry, helping to operate a large website that generated thousands of sales each day. Once he left that industry and co-founded Pinpoint Payments, he was able to bring the experience and expertise gained from spending so much time on the merchant side of things to the processor’s point of view. At first, Pinpoint was focused primarily on reducing fraud and chargebacks as a payment processor, but as the company has turned more focus to its Pinpoint Payments division, Grossman has been able to combine his years of expertise to focus on really giving customers what they need. “Pinpoint Payments is really focused on taking everything we know from having been marketers, taking everything we know from our fraud-reduction business — which we still utilize within Pinpoint Payments — and focusing on helping merchants get the right merchant accounts and grow their businesses,” Grossman said. Grossman said the Pinpoint team is able to bring a high level of understanding to both the merchant and processor side of the equation. Another factor that sets Pinpoint apart from other companies in the industry is that it focuses its efforts on what are considered to be high-risk accounts. These are often businesses that are perceived to attract high chargeback and fraud rates, and may have trouble securing a large payment processor because they could be seen as a bigger financial risk. Examples of industries that can fall into the high-risk category include licensed firearms, gentleman clubs, e-cigarettes, online nutraceuticals, and other card-not-present direct marketing businesses. Grossman said Pinpoint employs industry experts who can help to tailor a client’s experience with Pinpoint, to get them the best service possible. He said when the company brings on a new e-commerce client, it will monitor the account closely as it begins to establish a history. Grossman said they will fine-tune the process as they go, likening it to trying different levers and pushing different buttons to help the client be more effective and process better. “Being that we focus a lot on the high-risk clients, we also want to continue expansion of the number of banks that we work with in order to be able to provide our clients more opportunities for merchant accounts, and the right merchant accounts for their particular type of industry,” Grossman said. 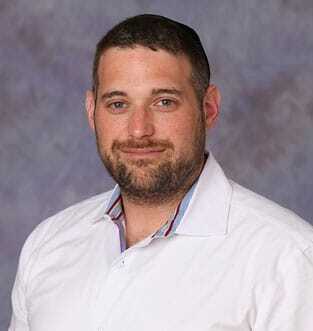 Benjamin Grossman is the Co-Founder and CEO of Pinpoint Payments. Grossman gave an example of a client in a particularly high-risk industry. He said when the client was just getting off the ground, he came to Pinpoint for help. Except for the marketing itself, Pinpoint helped the client with just about every aspect of his business, including operationally and helping him make industry connections, Grossman said. Grossman said the client in his example has taken full advantage of the Rolodex — Pinpoint even connected him to his attorney and to the call center his company now uses. The company is now a significant player in its niche area, he said. This type of attention may not be available from larger companies, Grossman said. Some large companies deal with up to 600 merchant account approvals a month. Grossman said they do far less than that, but each of Pinpoint’s accounts is uniquely tailored to the client. Grossman said. Grossman also dove into some of the details about how the company’s services actually work. Monitoring these types of statistics gives Pinpoint some basic data to make predictions on how well an account is going to perform over a period of time. He said Pinpoint will estimate how many chargebacks an account will have and share this information with the client. Grossman said being able to maximize sales while keeping chargebacks and fraud low is a careful balancing act. Although Pinpoint makes adjustments to help minimize chargebacks and fraud, some level of these incidents is unavoidable. If the company takes the most aggressive steps possible to eliminate every instance of chargebacks or fraud, he said, this approach would also eliminate any sales for the company. Grossman said their clients also benefit from a company that does it all. He said rather than being a jack-of-all-trades and master of none, Pinpoint had to become the master of all. With the world at our fingertips via trackpads and keyboards, it’s easy to forget how complex the World Wide Web is, particularly the world of e-commerce. Companies like Pinpoint Payments work hard to make sure the e-commerce process remains convenient for consumers by bringing detailed and efficient payment processing solutions to their clients. “Being a boutique operation is something we take a lot of pride in — the fact that we’re getting our customers a different kind of service experience,” Grossman said.